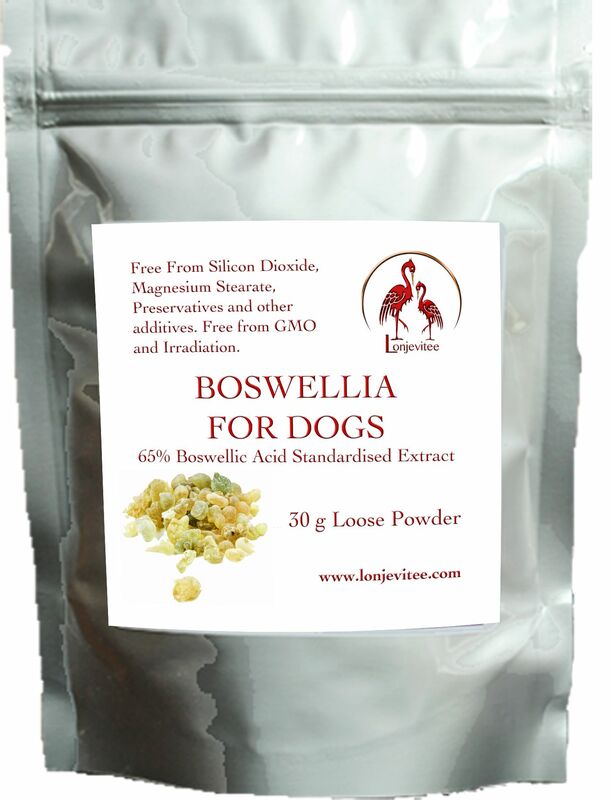 Boswellia Serrata Loose Powder - 30 g in a pouch with a new 0.5 ml measure scoop (400 mg). 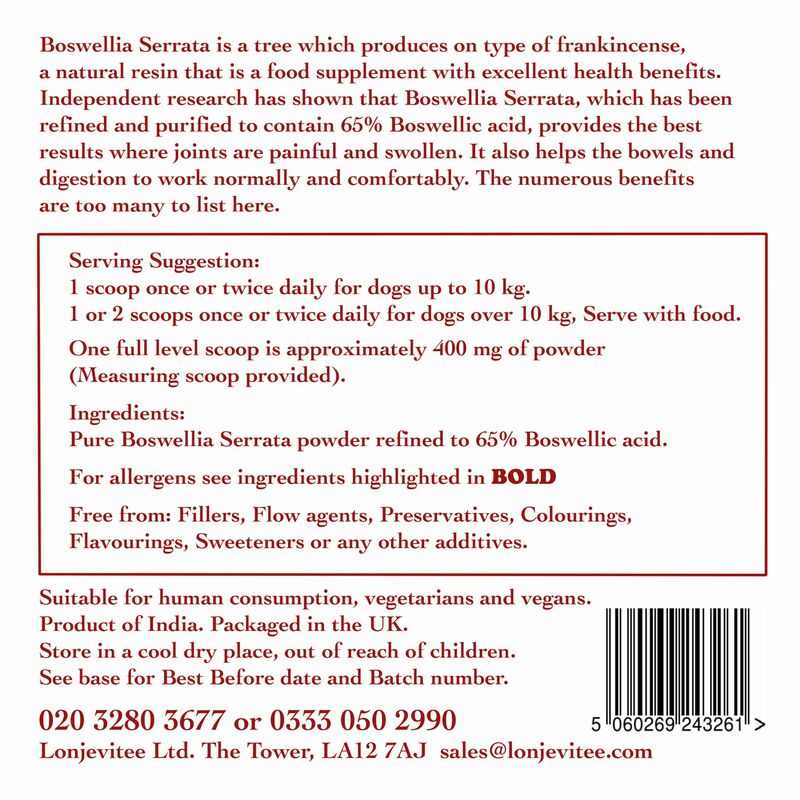 One 400 mg scoop is equal to two of the 200 mg Boswellia for Dogs capsules. 1 scoop twice daily for dogs up to 10 kg. 2 scoops twice daily for dogs over 10 kg.